A Las Vegas favorite for steaks, burgers, and brunch since 2007, Off The Strip Bistro & Bar has targeted downtown San Diego for its second location. After a successful run owning a steakhouse in Brooklyn, Off The Strip Bistro & Bar was founded by brothers Tom Goldsbury and the late Chef Al Hubbard in the off-the-beaten-path Southern Highlands area of Las Vegas in 2007 before relocating in late 2014 to the actual strip with a 24-hour, two-story location at The LINQ Hotel. The concept will soon install its second outpost within the corner space at 531 F Street that last housed Ocean Pacific Grille in San Diego's Gaslamp. ​The downtown San Diego space that Off The Stripp will occupy is broken into two separate rooms. The entrance has a large U shaped bar with additional table seating. The back space, with views of the open kitchen, is a dining room environment. The restaurant will also feature a special steel kinetic sculpture by Frederick Prescott that brings to motion the Las Vegas heritage. There are also two separate outdoor patios - one off the bar and another off the dining room. 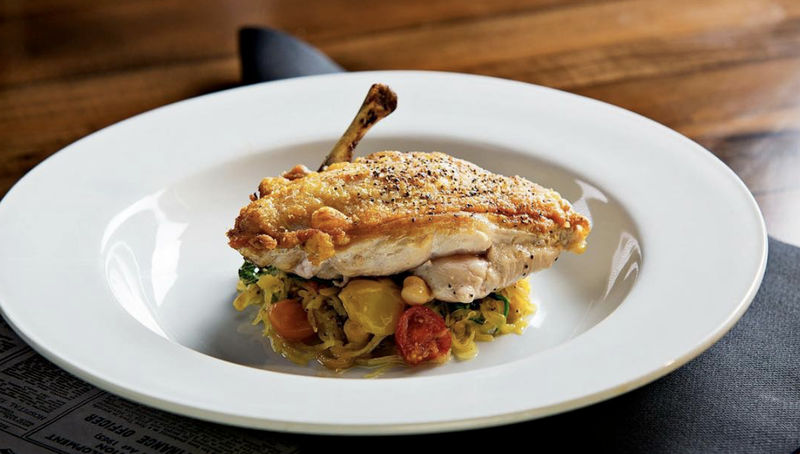 Off The Stip will offer a lengthy menu of "Just Real Food" dishes like steaks, chops, seafood and pasta, as well as a new healthy section dubbed “Fresh and Fit.” There is also a "Between the Buns" section with sandiwiches and burgers, as well as section devoted enitirely to brunch items. Menu highlights include the M.O.A.B. Burger - a grilled sirloin burger with hickory smoked bacon and cheddar cheese - as well as the eggplant parmesan, shrimp scampi, and beef Wellington served with mushroom duxelles and bordelaise sauce baked in a puff pastry. From the bar, expect a lengthy cocktail menu with fun names for its creative creations, bottomless brunch offerings, and plenty of beer and wine options. 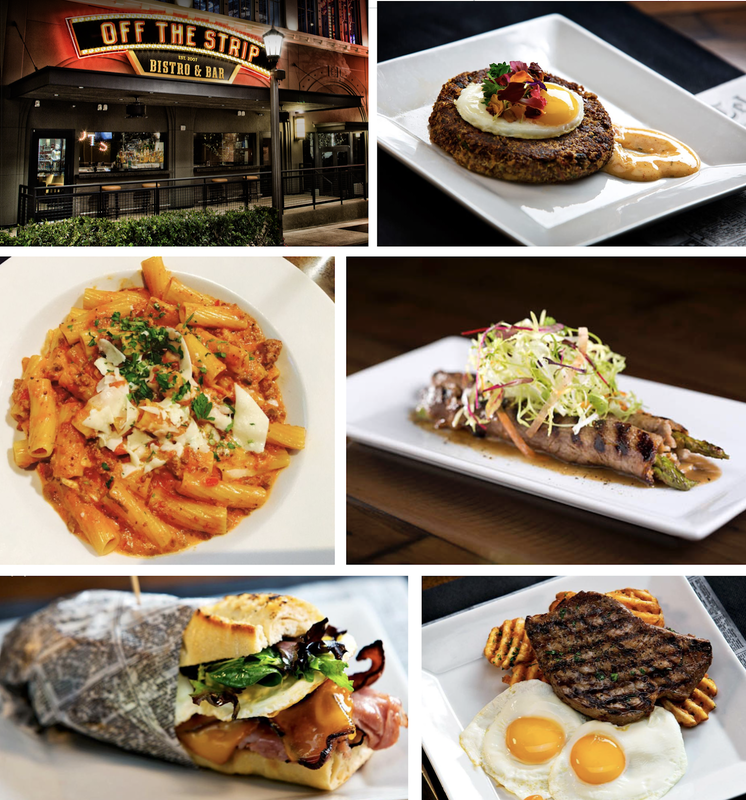 Off The Strip is expected to open later this month and will initially operate from 3pm to 2am daily, with brunch service to be added later this year. For more information, visit offthestriplinq.com.